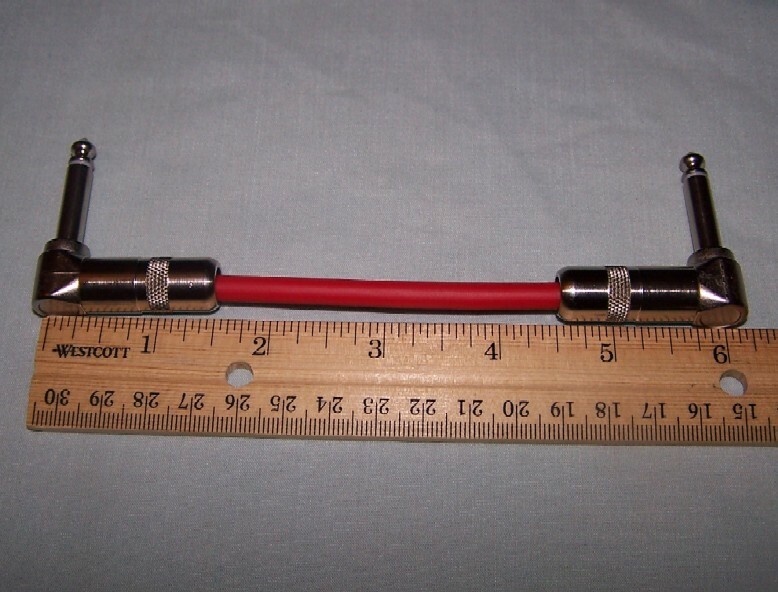 This page will describe to you how we measure our patch cables. 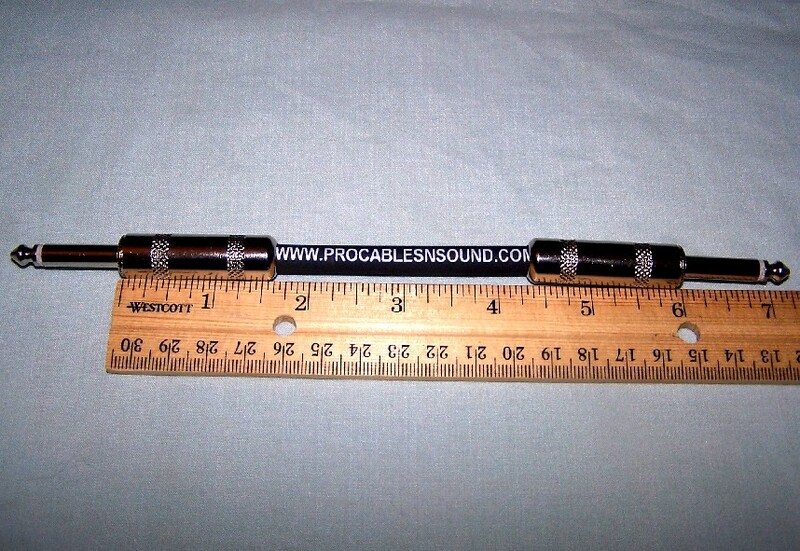 We recognize there are other companies that measure their cables different than we do. 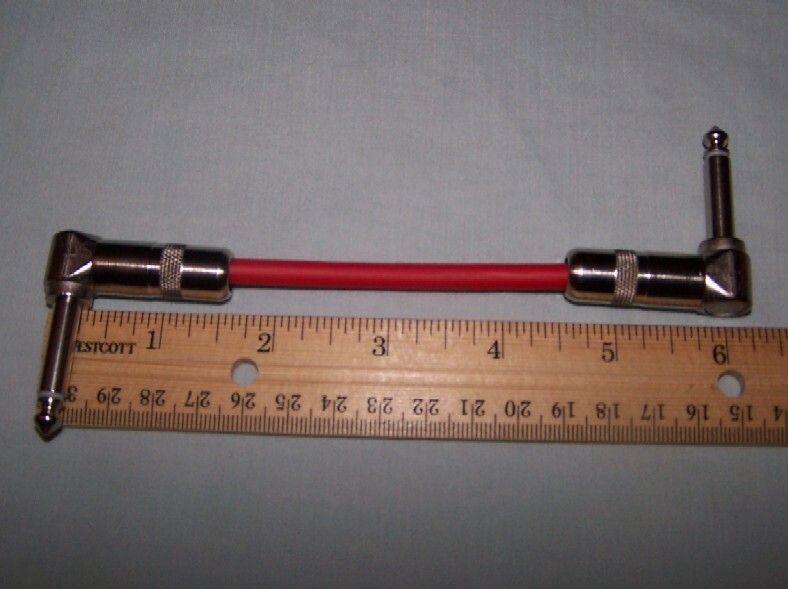 We wanted to give you the simplest method possible to describe to us what length cable you would like. 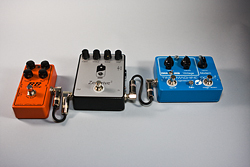 Using the pictures below you can take piece of string (or pipe cleaner or yarn or whatever) and measure the points between your pedals and then order accordingly. Do not be affraid to order the next size up, the cost is very small and you can always put a loop in your cable if is too long. A short cable is not always your best option. You may want to order a longer and make a loop instead of trying to turn an impossible radius. 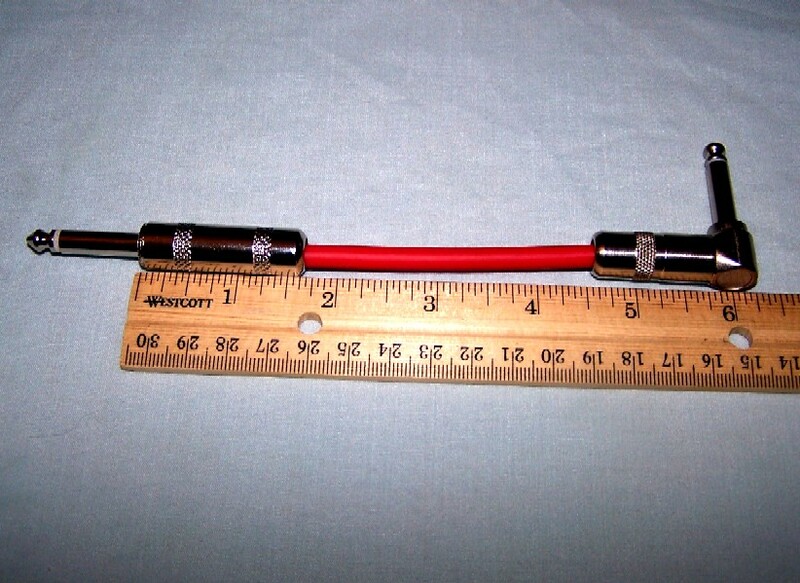 It is better for your cable and for your pedals. 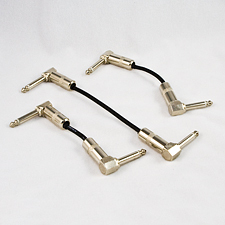 Our new GS4 patch cables are now available and can ordered in lengths as short as 3 inches. This new product for us is extrememly flexible, very transparent and still tough as nails. from the centerline of the male plug that inserts into the jack. 90 to 90 is measured from the center of male jack that inserts into the jack. This is also the "standard" configuration for the 90 to 90. Offes is shown below.